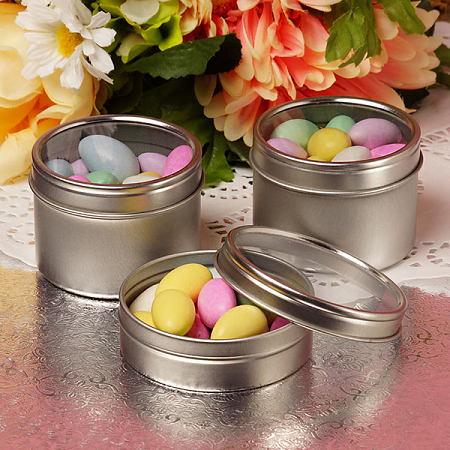 Open up to a delightful treat with this 4 Ounce Windowed Round Tin. 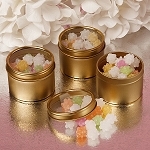 A little under 2 inches deep you really can fill it up with bigger candies as well as potpourri, candles and more. 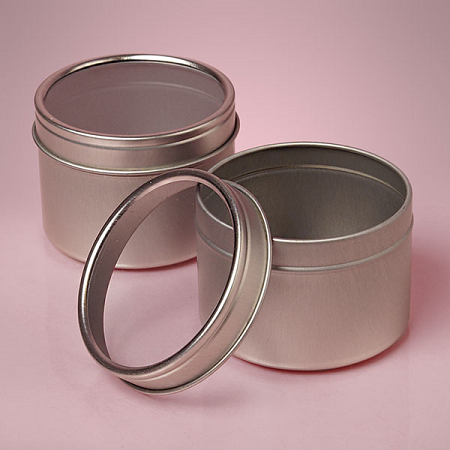 Silver round tins with a clear top to allow easy viewing of anything placed inside. 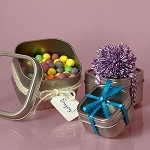 Have a blast creating the ultimate favors, gift boxes or memory boxes. Want to add a little mystery? Place a piece of colored tissue paper inside before placing the lid, you will have the added touch of color and a little veil to cover whats inside. Order yours today!